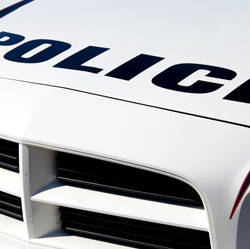 ALL of our Security “guards” are actually off-duty Police Officers authorized to provide security services. We do not provide non-Police security guards. Our security staff and the project managers we deploy are selected from tested, proven, dependable, specially trained groups. We do not just assign whichever officer is available that day. We take great pride in our reputation for assigning the right people who feel personally responsible at all times for providing the best level of service. We want the performance of our duties to make a statement, not just about our standards, but that of our Clients for having selected us to be of service. You as a Client want officers who present themselves professionally, respectfully, and capably, and you want that from them at all times whether they are being directly supervised or not. That’s why you want OUR proven, higher-tier professionals and risk managers. 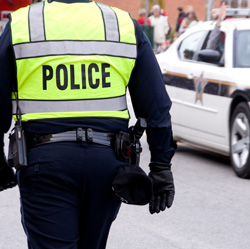 We provide off-duty Police Officer security in all U.S. states/cities/counties in which it is legal to do so and permissible by their departmental policies. Call or email us to check availability in your jurisdiction. Our area of highest deployment currently is Montgomery County, Maryland; however, we have ongoing operations across the United States and overseas. PRUDENTIAL Associates provides ongoing contracted (Police) security staff with vehicles for deployments of not less than 30 days, preferably under annual contract. No single event deployment unless 5 or more officers are required. Real police, right where you need them, without the response time wait. Peace of mind in an ever-changing world, in a low-profile setting. Professionalism, tactical / problem solving capability, and discretion. Trained in emergency driving, route planning, and firearm use. Teams available from one-man units to multiple personnel. Ability to coordinate with local law enforcement and security details. Pre-arrival site visits and advance preparation services available. High security, multi-vehicle transport and logistics. When you must terminate an employee, do you feel comfortable with just civilian staff present? If something bad happens, would you rather “observe and report” or have a trained professional nearby who can take immediate action? Prudential Associates employs highly-trained, hand-picked professional officers who are discreet, possess exemplary inter-personal skills, and can take immediate action in cases of emergency. Our staff can quickly learn the floorplan of your facility and help responding officers mitigate any threat. Police response time to an active shooter averages 3-4 minutes. How many lives may be lost in that time? 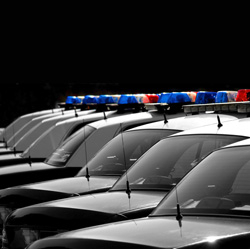 Our staff can take immediate action and summon/coordinate law enforcement help via radio. There are key moments when an emergency can be averted/prevented if it becomes known that law enforcement staff are already on scene. There are also numerous actions that law enforcement professionals can take to prevent certain incidents or emergencies from occurring. 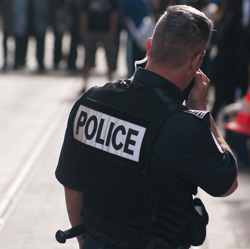 Our highly-trained staff can take these actions that private security guards cannot. Choose any one of the recent headlines of workplace violence or active shooter instances with significant death tolls, and imagine how different the outcomes could have been if there were professional law enforcement officials present ahead of time. Imagine the families who would not have had to cope with the loss of a loved one. Imagine that story with a smaller number of lost lives, or perhaps none. Our solutions can make that kind of a difference – the most significant difference imaginable for some families. The world is a perilous place, and we are far too often confronted with news of violent events. These threats exist, and some would argue that they are increasing (e.g. terrorism, workplace violence, domestic violence, gang crime, drug related homicide, etc.). Without exception, potential victims (many completely defenseless) stand a greater chance of survival the faster professional, highly-trained law enforcement staff arrive. YOU can make sure that we are already there. 5 Ways to Jeopardize a Digital Forensic Investigation? Divorce in the Digital Age: Why Are Divorce Cases Relying More on Electronically Stored Information (ESI)? Are You Hiring the Best Digital Forensic Expert? e-Discovery is Here to Stay… Are You Working with a Certified Expert? 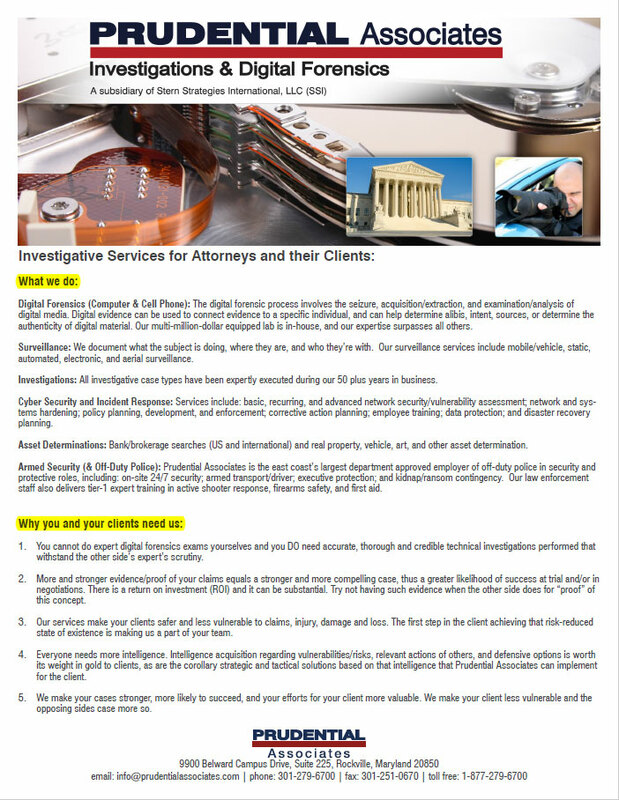 Why not just hire the cheapest private investigator or purchase the cheapest asset search?